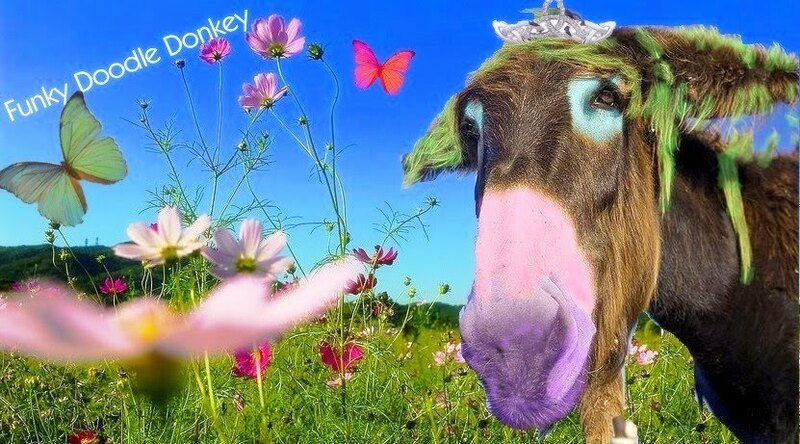 Funky Doodle Donkey: HUP HOLLAND HUP!! again.. plus update! I wrote a posting once with this title, but now it is even more valid!! I know I escaped South Africa to go away from the football craze, but I have to support our team today!! 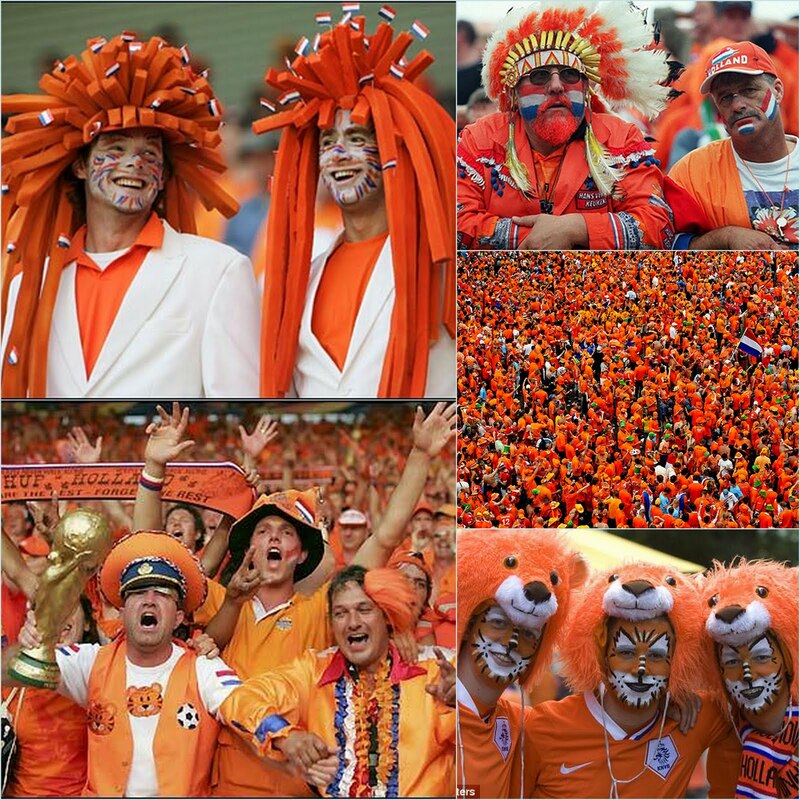 It is only ONCE in a life time that my hubby is at the World Cup finals, AND Holland is playing it against Spain, and hopefully WINNING IT!! 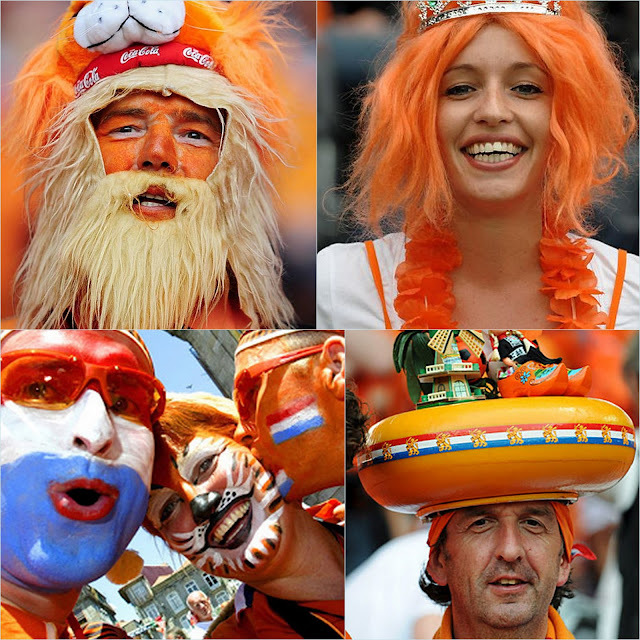 So here a dedication to the Dutch football team, go for it Dutch boys!! 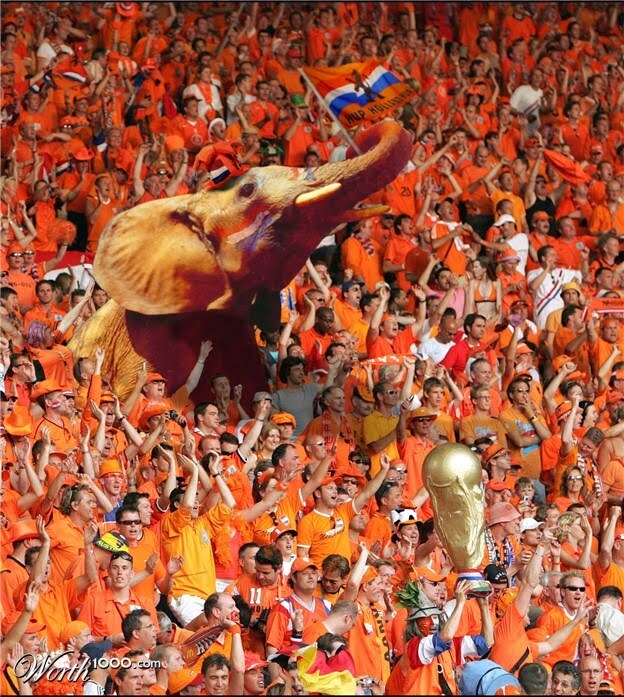 HUP HOLLAND HUP!! The Dutch football fans are one of the most dedicated, crazy, wild bunch of fans I have ever seen, and if you haven't noticed the ORANGE fans yet, here a few pictures!! A crazy wild bunch!! The girls and me will be watching this super exciting game here on Koh Samui, in the middle of the night, with the time difference it will be starting at 1:30 am till about 4 am, but we will be up and watching. Maybe we will even see Dirk & Espen on the big screen since they are there live in Johannesburg at soccer city!! If the Dutch team will win the finals, Dirk and Espen will shave their heads bald, so I cant' wait to see Dirk on Wednesday since he is coming to Samui after the finals!! The girls can't wait to see their daddy with a bald head! JJ told him on Facebook: You better bring a head otherwise your head will look like a tomato head! Too funny!! Well, the Spanish team won with 1-0 in the last minute of the extended time! Too bad for HOLLAND! It was really a struggle, not a great game to watch! Lot's of yellow cards and even a red one for Holland. But all in all South Africa should be a proud host! From what I heard from different sides, different people everything went really well and smooth! Congratulations to SA for hosting such a great event!! LOVE those crazy fan photos!! Looks like a fun time!